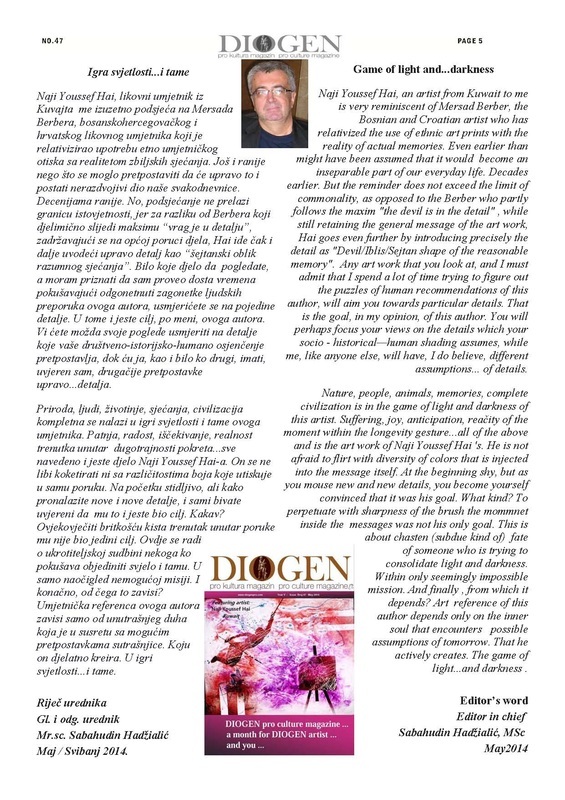 DIOGEN pro art magazin broj 47....01.05.2014. 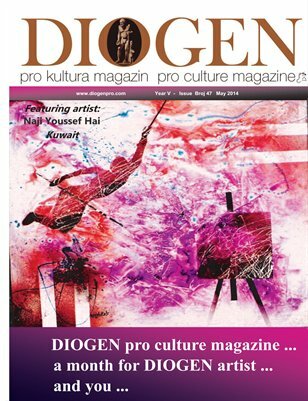 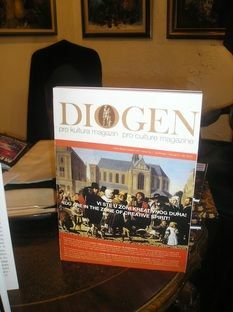 DIOGEN pro art magazine No 47....01.05.2014. 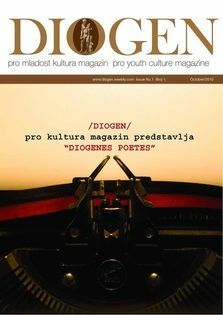 DIOGEN pro art magazine No 47...Naji Youssef Hai, Kuwait...Game of light and...darkness ..Naji Youssef Hai, an artist from Kuwait to me is very reminiscent of Mersad Berber, the Bosnian and Croatian artist who has relativized the use of ethnic art prints with the reality of actual memories. 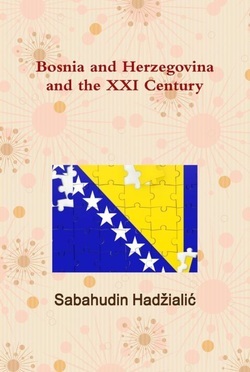 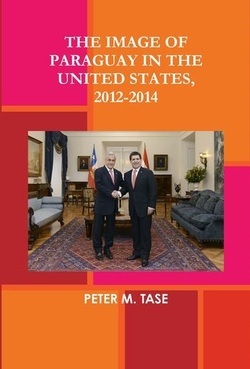 Even earlier than might have been assumed that it would become an inseparable part of our everyday life. 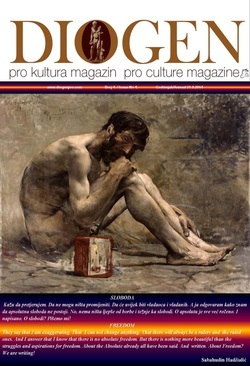 Decades earlier.